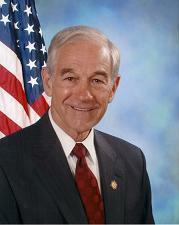 Ron Paul Quotes.com: Why Are Americans So Angry? Some say it’s the war, yet we’ve lived with war throughout the 20 th century. The bigger they were the more we pulled together. And the current war, by comparison, has fewer American casualties than the rest. So it can’t just be the war itself. People complain about corruption, but what’s new about government corruption? In the 19 th century we had railroad scandals; in the 20 th century we endured the Teapot Dome scandal, Watergate, Koreagate, and many others without too much anger and resentment. Yet today it seems anger is pervasive and worse than we’ve experienced in the past. We all know that ideas do have consequences. Bad ideas, even when supported naively by the people, will have bad results. Could it be the people sense, in a profound way, that the policies of recent decades are unworkable — and thus they have instinctively lost confidence in their government leaders? This certainly happened in the final years of the Soviet system. Though not fully understood, this sense of frustration may well be the source of anger we hear expressed on a daily basis by so many. But there are many others who are not bashful about using government power to do “good.” They truly believe they can make the economy fair through a redistributive tax and spending system; make the people moral by regulating personal behavior and choices; and remake the world in our image using armies. They argue that the use of force to achieve good is legitimate and proper for government — always speaking of the noble goals while ignoring the inevitable failures and evils caused by coercion. Once we concede government has this “legitimate” function and can be manipulated by a majority vote, the various special interests move in quickly. They gain control to direct government largesse for their own benefit. Too often it is corporate interests who learn how to manipulate every contract, regulation and tax policy. Likewise, promoters of the “progressive” agenda, always hostile to property rights, compete for government power through safety, health, and environmental initiatives. Both groups resort to using government power — and abuse this power — in an effort to serve their narrow interests. In the meantime, constitutional limits on power and its mandate to protect liberty are totally forgotten. Fear is generated to garner popular support for the proposed government action, even when some liberty has to be sacrificed. This leads to a society that is systemically driven toward fear — fear that gives the monstrous government more and more authority and control over our lives and property. It is said that without an economic safety net — for everyone, from cradle to grave — people would starve and many would become homeless. Without federal assistance, there would be no funds for public education, and the quality of our public schools would diminish — ignoring recent history to the contrary. Fear and Anger over Iraq Though the American people are fed up for a lot of legitimate reasons, almost all polls show the mess in Iraq leads the list of why the anger is so intense. War supporters cannot see that for every Iraqi killed, another family turns on us — regardless of who did the killing. We are and will continue to be blamed for every wrong done in Iraq: all deaths, illness, water problems, food shortages, and electricity outages. Our undeclared wars over the past 65 years have dragged on without precise victories. We fight to spread American values, to enforce UN resolutions, and to slay supposed Hitlers. We forget that we once spread American values by persuasion and setting an example — not by bombs and preemptive invasions. Nowhere in the Constitution are we permitted to go to war on behalf of the United Nations at the sacrifice of our national sovereignty. We repeatedly use military force against former allies, thugs we helped empower—like Saddam Hussein and Osama bin Laden—even when they pose no danger to us. Constitutional and moral restraints on war should be strictly followed. It is understandable when kings, dictators, and tyrants take their people into war, since it serves their selfish interests — and those sent to fight have no say in the matter. It is more difficult to understand why democracies and democratic legislative bodies, which have a say over the issue of war, so readily submit to the executive branch of government. The determined effort of the authors of our Constitution to firmly place the power to declare war in the legislative branch has been ignored in the decades following WWII. Many members have confided in me that they are quite comfortable with this arrangement. They flatly do not expect, in this modern age, to formally declare war ever again. Yet no one predicts there will be fewer wars fought. It is instead assumed they will be ordered by the executive branch or the United Nations — a rather sad commentary.